Spring: It’s nature’s idea of a fresh start. Flowers are blooming, trees are budding, signs of rebirth abound. Spring means it’s time to shake off those winter hot toddies and start sipping a fresh cocktail—something light and peppy that takes all the bright sunshine and renewed energy and traps it in a glass. 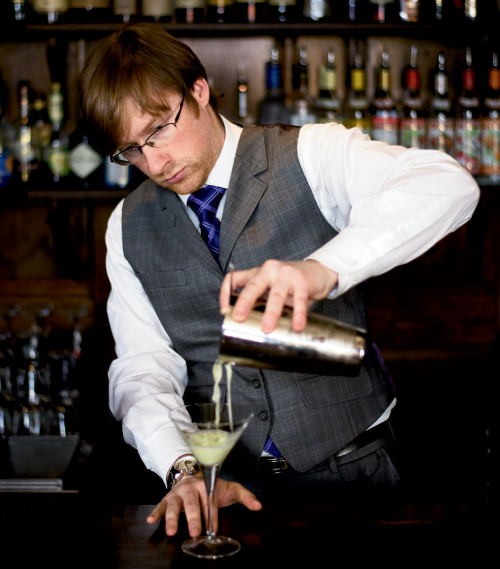 We found one such libation at the Rooftop Terrace at Old Edwards Inn in Highlands, where head mixologist Jimmy Blyther has created a seasonal cocktail lineup that hinges on local ingredients. “These mountains are teeming with such rich plant life and passionate producers, it allows us to provide guests with that hyper-local experience they love,” he says. To add fragrant, earthy notes to his spring cocktails, Blyther plucks fresh herbs, including rosemary and mint, straight from a container garden on the rooftop bar. It doesn’t get much more local than that. In his Sunny Disposition concoction, Blyther mixes Cardinal Gin from King’s Mountain with local honey and locally harvested ginseng. Coriander blossoms grown on-site add a citrusy garnish.